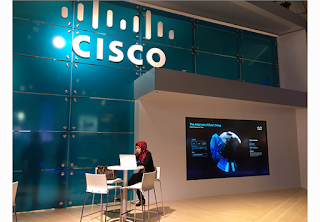 Cisco is backing a new, open virtualized Radio Access Network (vRAN) initiative aimed fostering end-to-end, software-defined mobile networks. Additional backers include Altiostar, Aricent, Intel, Mavenir, Phazr, Red Hat and Tech Mahindra to spur rapid innovation in both hardware and software domains. Reliance Jio is the first carrier to join. While virtualization already plays a key role in other domains of mobile networking, such as in the Evolved Packet Core (EPC), IP Multimedia Subsystems (IMS), the Gateway Internet LAN (Gi-LAN) and data transport, backers of this initiative say that the RAN still has not benefitted from disaggregation. Intel announced a strategic alliance with Unigroup Spreadtrum & RDA, a core subsidiary of Tsinghua Unigroup. The plan is to develop a 5G smartphone platform for the China market that will feature an Intel 5G modem and will be targeted to coincide with 5G network deployments in 2019. 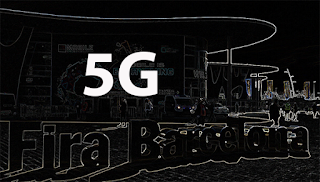 KT Corporation, Qualcomm, and Samsung Electronics have completed multi-vendor 5G NR interoperable testing compliant with the 3GPP Release-15 Non-Standalone (NSA) 5G NR global standard. 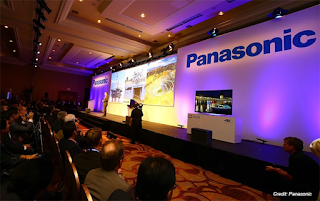 The live, over-the-air interoperable testing demonstrated data connections operating in 3.5 GHz and 28 GHz bands, utilizing pre-commercial 5G NR base stations from Samsung and 5G NR UE prototype devices from Qualcomm. 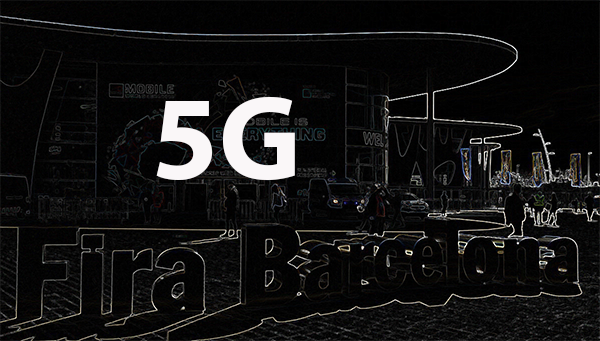 The end-to-end 5G NR interoperability testing included scalable 5G NR OFDM numerology, advanced 5G NR channel coding and modulation schemes, low-latency 5G NR slot structure and 5G NR control and data channel support for Massive MIMO and mobile mmWave. The vendors reported multigigabit downlink speeds, as well as latencies as low as 1 millisecond. The world’s largest and densest cities, such as New York, Shanghai, Shenzhen and Tokyo, could face a wireless bandwidth crunch in their urban cores by 2025 warns a new report published by the GSMA. The gap between mobile data traffic demand and available network capacity could become acute, with as much as 48 percent of traffic demand going unserved in ultra-dense urban areas by 2025. The report cites the rise of 5G and IoT as potentially increasing demand by 50 percent. Metaswitch has signed a global resale agreement with Hewlett Packard Enterprise (HPE) aimed at accelerating fixed and mobile network operators’ deployments of advanced services including VoLTE and VoWiFi on private, public or hybrid cloud infrastructures. Under the deal, Metaswitch’s core network software products, including the Clearwater IMS core and Perimeta session border controller (SBC), will be integrated with HPE’s own virtual network functions and management platforms to deliver end to end virtualized VoLTE, VoWiFi and advanced communications services. Metaswitch said this reseller relationship builds on the previous announcement of the integration of Metaswitch’s Clearwater core with HPE’s infrastructure platforms and NFV Director orchestration platform. NETSCOUT has been awarded a new multi-year agreement by VodafoneZiggo to support its Network Function Virtualization (NFV) transformation. Specifically, NETSCOUT will deliver end-to-end visibility and analytics into VodafoneZiggo’s converged, hybrid network to ensure the seamless delivery of services. VodafoneZiggo is a joint venture of Liberty Global, the largest international TV and broadband internet company, and Vodafone Group. It provides fixed, mobile, and integrated communication and entertainment services to consumers and businesses in the Netherlands. 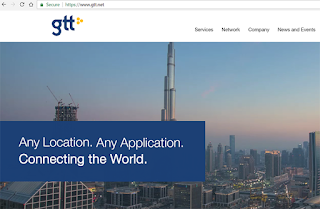 “The same NFV and virtualization technologies that drive service agility also bring significant challenges to identifying network and service performance. NFV networks do not usually operate in isolation, but rather work alongside existing physical network functions. With 360° visibility across the entire network, VodafoneZiggo can rely on our solution to rapidly pinpoint the exact location of an issue, wherever it occurs. By selecting to partner with NETSCOUT, VodafoneZiggo can move ahead with its NFV transformation with confidence that new and existing services and applications are performing optimally,” said Anil Singhal, co-founder, president, and chief executive officer, NETSCOUT. 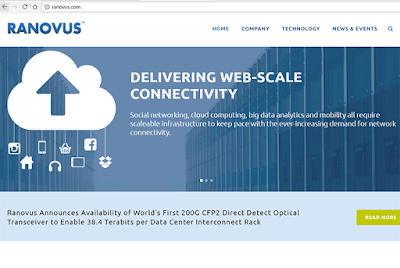 Ranovus announced the general availability of its 200G On-Board Optics and CFP2 optical transceiver solutions. The devices are based on the company’s multi-wavelength Quantum Dot Laser (QDL), Ring Resonator based Silicon Photonic (SiP) modulators, Driver ICs as well as Receiver building blocks. Ranovus said these products are now in lab trials with multiple optical networking equipment vendors for 5G mobility and cloud infrastructure markets. A demonstration with ADVA is planned for the upcoming OFC show in San Diego. Hetzner Online, a leading web hosting and data center operator in Germany, has deployed the Infinera XTS-3300 to extend its data center business into Finland. 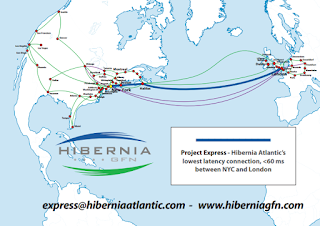 Hetzner Online owns several data centers in Germany and expanded its network into Finland with a subsea optical network powered by the Infinera XTS-3300 to address demand from customers in Eastern Europe and Russia. 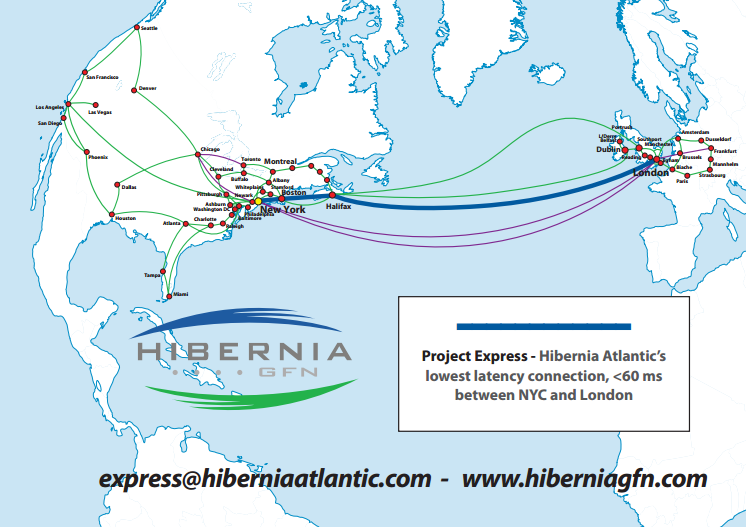 The new subsea network connects Hetzner Online’s existing metro terrestrial networks in both countries where the Infinera XTM-Series is deployed. Infinera's XTS-3300 is a compact, high-performance subsea network solution enabling internet content providers (ICPs) like Hetzner Online to quickly deploy low-latency subsea networks. Cisco is now predicting that global cloud data center traffic will reach 19.5 zettabytes (ZB) per year by 2021, up from 6.0 ZB per year in 2016 – a 3.3-fold growth, representing a 27 percent compound annual growth rate from 2016 to 2021. By that year, the Cisco forecasters will have a very difficult time distinguishing regular data centre traffic from cloud data centre traffic. Fully 95 percent of data centre traffic will be cloud data centre traffic. This does not necessarily mean public data centre traffic, just that nearly all data centres, public and private, will have adopted cloud virtualisation technologies by that date. Cisco’s definition of cloud encompasses virtualisation in networks, servers, storage, applications, and services. Earlier security concerns about sharing servers and storage resources amongst applications, even within an organisation, have given way to the forces of cost and power efficiency. Data is now much less stored and processed in a confined physical environment. More and more, even “data at rest” moves to wherever the algorithms of efficiency demand. This has huge implications not only for large data sets moving across wide-area boundaries, but also for east-west traffic within data centre campuses. Virtualisation means that data forever will be on the move. 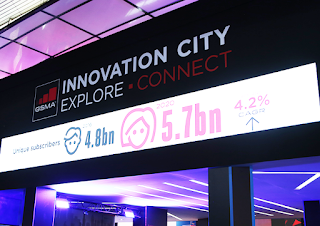 The newly-published Cisco Global Cloud Index (2016-2021), which is now in its seventh annual edition, predicts that the number of hyperscale, public cloud data centres will nearly double from 338 in 2016 to 628 globally in 2021. It will take a massive construction effort to pull this off. Nearly every month, we report when AWS, Facebook, Google, Microsoft, Apple, Alibaba, IBM, Oracle etc. unveils plans for new facilities. Typically, these are warehouse-sized builds on a new plot of land in a remote location, where renewable energy can be procured in quantity and at a reasonable cost. Increasingly, we are seeing these data centre campuses being built close to urban centres. With this level of expansion, one wonders why certain telcos (Verizon, Centurylink and possible AT&T) are selling off their data centers rather than holding them as strategic assets or appreciating investment. Possbily, these facilities are too old and would required extensive HVAC upgrades to accommodate the high number and density of servers that hyperscale cloud facilities require. Or maybe they realize that simply cannot compete with the likes of AWS or Microsoft Azure, so better to exit the business sooner rather than later. 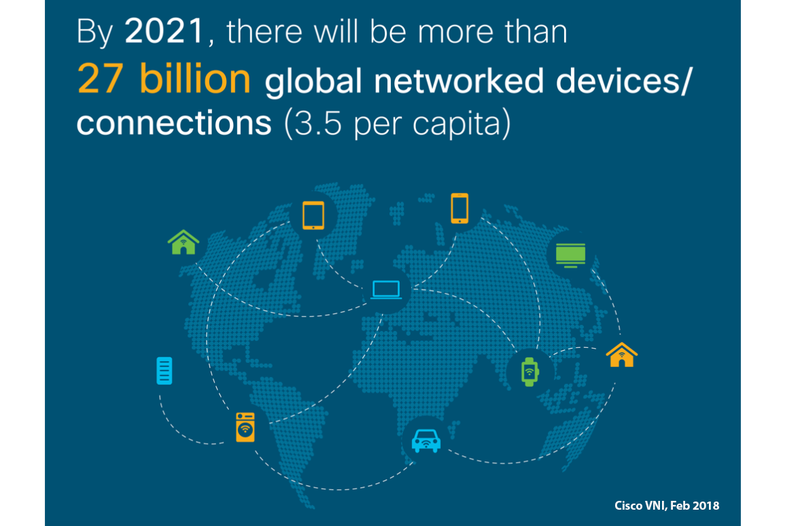 It is odd given the surge in cloud data centre traffic that Cisco is predicting. • By 2021, 94 percent of workloads and compute instances will be processed by cloud data centres; 6 percent will be processed by traditional data centres. • Overall data centre workloads and compute instances will more than double (2.3-fold) from 2016 to 2021; however, cloud workloads and compute instances will nearly triple (2.7-fold) over the same period. • The workload and compute instance density for cloud data centres was 8.8 in 2016 and will grow to 13.2 by 2021. Comparatively, for traditional data centres, workload and compute instance density was 2.4 in 2016 and will grow to 3.8 by 2021. • Globally, the data stored in data centres will nearly quintuple by 2021 to reach 1.3 ZB by 2021, up 4.6-fold (a CAGR of 36%) from 286 EB in 2016. • Big data will reach 403 exabytes (EB) by 2021, up almost 8-fold from 25 EB in 2016. Big data will represent 30 percent of data stored in data centres by 2021, up from 18 percent in 2016. 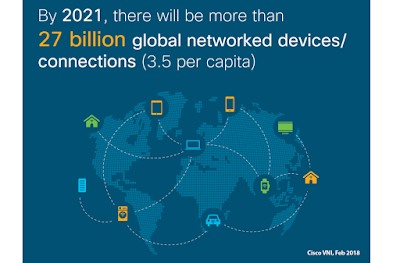 • The amount of data stored on devices will be 4.5 times higher than data stored in data centres, at 5.9 ZB by 2021. • By 2021, big data will account for 20 percent (2.5 ZB annual, 209 EB monthly) of traffic within data centres, compared to 12 percent (593 EB annual, 49 EB monthly) in 2016. • By 2021, video streaming will account for 10 percent of traffic within data centres, compared to 9 percent in 2016. • By 2021, video will account for 85 percent of traffic from data centres to end users, compared to 78 percent in 2016. • By 2021, search will account for 20 percent of traffic within data centres by 2021, compared to 28 percent in 2016. • By 2021, social networking will account for 22 percent of traffic within data centres, compared to 20 percent in 2016. • By 2021, 75 percent (402 million) of the total cloud workloads and compute instances will be SaaS workloads and compute instances, up from 71 percent (141 million) in 2016. (23% CAGR from 2016 to 2021). • By 2021, 16 percent (85 million) of the total cloud workloads and compute instances will be IaaS workloads and compute instances, down from 21 percent (42 million) in 2016. (15% CAGR from 2016 to 2021). • By 2021, 9 percent (46 million) of the total cloud workloads and compute instances will be PaaS workloads and compute instances, up from 8% (16 million) in 2016. (23% CAGR from 2016 to 2021). Metaswitch and Cloudify are partnering to automate NFV management and orchestration (MANO) for global operators, increasing service agility and reducing service-affecting manual errors. Under the deal, Metaswitch will OEM Cloudify’s virtual network functions management (VNFM) capabilities in delivery of its own VoLTE TAS, vSBC and vIMS VNFs and the two companies are collaborating closely in customer engagements, bridging gaps in operators’ NFV MANO systems. Cloudify is a TOSCA-based open source cloud orchestration platform that helps operators to transition from non-virtualized appliances to virtualized, and ultimately cloud-native architecture with full lifecycle management and orchestration as well as service function chaining.